Only 1 Female and 3 Male SPOTS LEFT! Join Steve Philbrook on this awesome shark adventure! 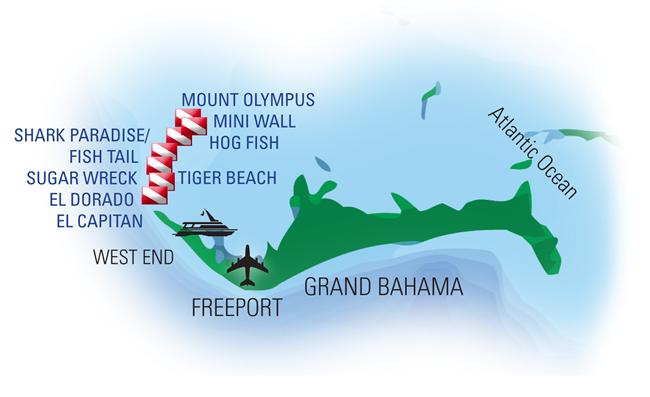 Visit the remote areas around the West End of Grand Bahama aboard the Bahamas Aggressor. This liveaboard offers up to 5 dives per day. The West End area is rarely visited by guests and is home to many creatures – both large (sharks and dolphins) and small (grouper, snapper, assorted other reef fish). At least one afternoon during the trip will be dedicated to a dive at the area know as “Tiger Beach” where we will try to attract sharks using a “scent triangle” filled with bait. 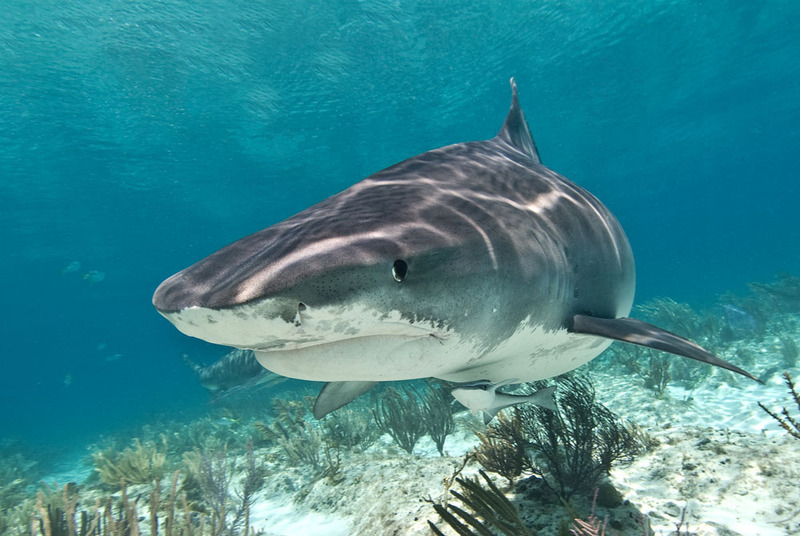 Both Caribbean Reef sharks, Lemon Sharks and Tiger sharks are known to frequent the area. The BAHAMAS AGGRESSOR™ will dock in and out of “Old Bahama Bay Resort: Old Bahama Bay. Guests will fly in and out of Grand Bahama International Airport, (airport code is FPO). It is a 30 to 45 minute taxi ride to Old Bahama Bay and approx. $75. Transfers are not included. NOTE: A $500 deposit holds your spot for this trip. All Liveaboard deposits/payments are Non Refundable. Final payment is due March 10, 2019. We strongly recommend travelers insurance, ask for details. Land/dive/air prices are payable by cash, check, or credit card and are quoted to reflect a 3% cash discount. If you wish to use a credit card, this 3% discount will not apply to the above quoted price. Airfare rates are based on early sign up, future rates are approximate, call for current price. Due to rising fuel costs, airlines have been imposing additional charges without notice, prices subject to change.